This denim duvet set, woven with the classic seersucker puckering and crimping, will add a statement to any bedroom. 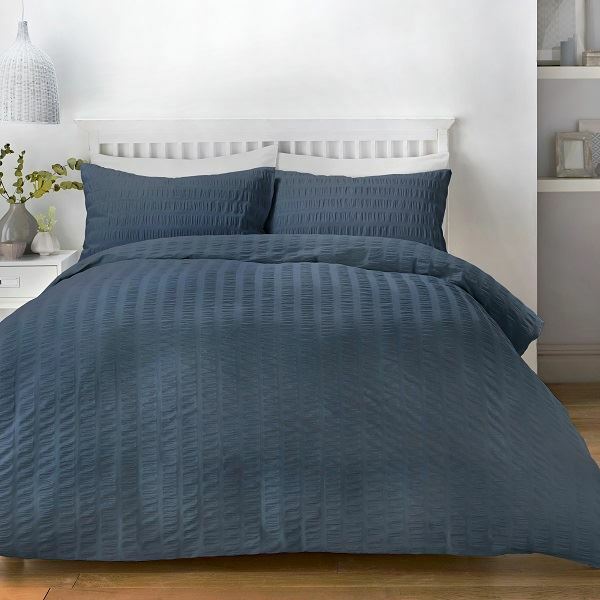 The bed linen is a 150 thread count 52/48 polycotton blend offering easy-care with washing, drying and ironing while the cotton gives a delicate finish to the fabric. Each set includes matching pillowcase(s).